Texan powerpoppers FASTBALL return to the UK in March for their first London show in nearly twenty years! 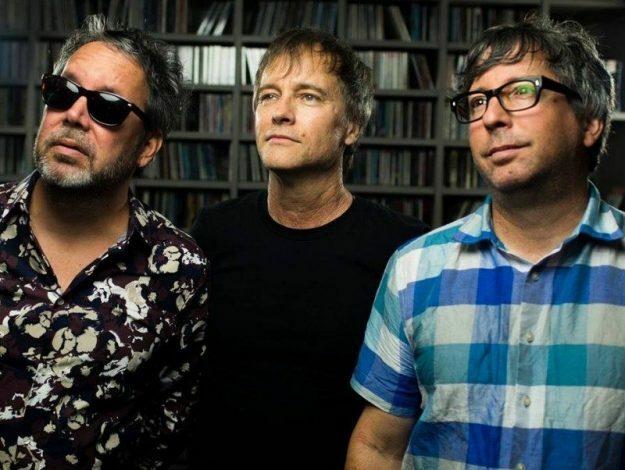 The Austin trio play the O2 Academy, Islington on Wednesday 13 March as part of a European tour celebrating the 20th Anniversary of their breakthrough album All The Pain Money Can Buy. Formed in 1995, the band signed to Disney’s Hollywood Records and scored international success for their second album in ’98, when the first single from it, ‘The Way’, became a worldwide hit, narrowly missing the UK Top 20. The band made their UK debut with a sold out show at London’s Water Rats, returning two years later to play The Underworld in support of third album The Harsh Light Of Day. Although subsequent releases became fewer and further between, as the members worked on other projects, the trio of Miles Zuniga, Tony Scalzo and Joey Shuffield have regrouped periodically over he years, releasing their most recent album Step Into Light in 2017. The 20th Anniversary edition of All The Pain Money Can Buy is available on CD and double-vinyl here. Tickets for the Islington Academy show go on sale here from 10.00am on Friday 18 January.